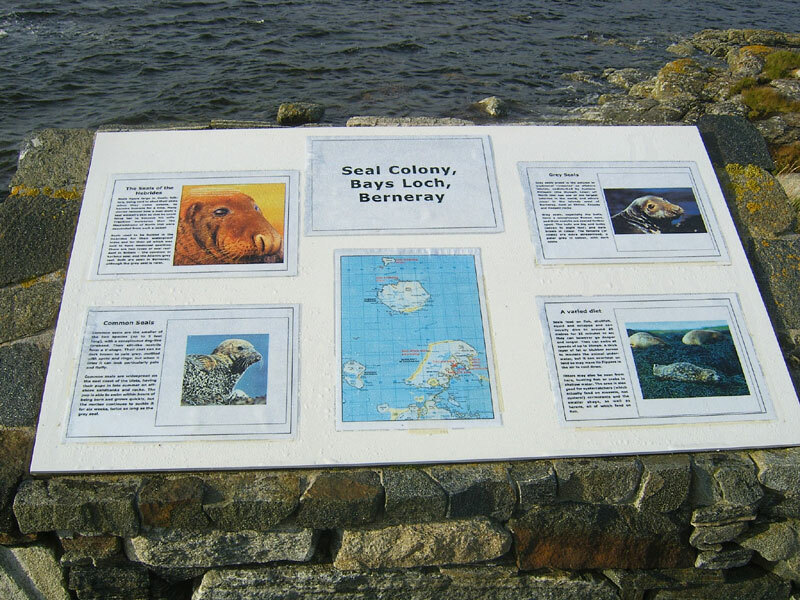 Seal Colony Bays Loch on the eastern side of the island is an ideal place to watch the colony of Common and Atlantic Grey seals. 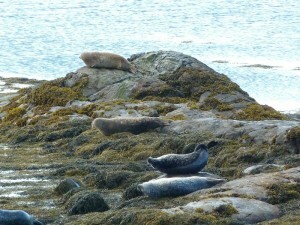 The best way to decide which Seal is which, is to study the head, as the Common Seal has a much more doglike shape i.e. forehead and nose, whereas The Atlantic Seal has a very flat head. Common Seals also have very dark young, which they have in early Summer, whereas Atlantic Seals have white young in Autumn.